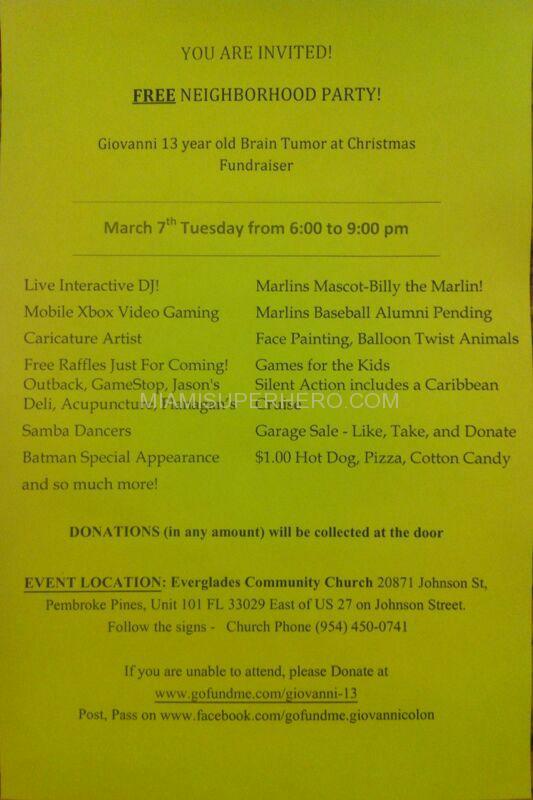 CHARITY event im doing Tuesday early evening 6:30pm for a kid that has stage 2 Glioblastoma which in english is a brain tumor that is very difficult to battle medically speaking because of its unique abilities. MIAMI HEAT cheerleaders just committed as well to the event. If anyone that can contribute wants to go , send me a message and ill get the greenlight from the Mom.